Depending on the type of fishing that you prefer, there are a lot of different specifications that you might expect and look for in a fishing rod. This is something very important. Saltwater and freshwater fishing are two completely different undertakings and they need to be accounted for properly. The Wright & McGill Blair Wiggins S-Curve, as the name suggests, is a rod designated for inshore saltwater fishing, which is something rather interesting and challenging at the same time. Apart from having a very sensitive fishing rod, you would also have to understand the nuances of tidal currents and others of the kind. As we already mentioned, this particular pole is designated and specifically fashioned in a manner which promotes inshore saltwater fishing. Of course, there is absolutely no obstacle for you not to use it for other fishing undertakings as well, but it might not be as appropriate. The entire design of the rod is going to complement this type of fishing tremendously. 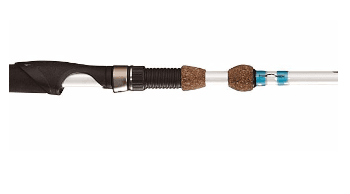 Saltwater fishing, especially inshore saltwater fishing requires quite a lot of sensitivity and the new and improved design of the rod accounts for it perfectly. They come with an exclusive S-curve technology as this is going to bring in additional strength to the table. At the same time, the lifting power is accommodated for larger fish which is expected from this particular type of fishing. 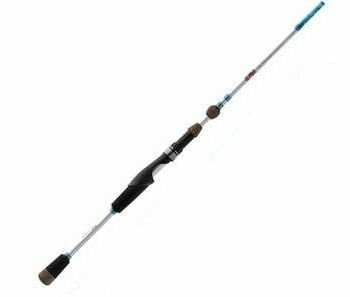 The first thing that you might want to account for when it comes to this particular fishing pole is the extruded design. 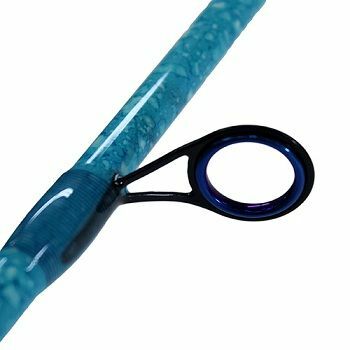 Even though the rod is particularly lightweight, it’s extremely durable. This is thanks to the new technology behind the construction – The S-Curve blank construction guarantees superior and improved strength while at the same time it doesn’t sacrifice the sensitivity and keeps the weight reduced to the minimum. This is something rather important. Inshore saltwater fishing entails tackling some big fishes and you need to ensure that your rod can handle it. There is a whole set of additional features which will ensure that everything is handled as per the highest standards. The balance of the fishing rod is also something which the manufacturer has taken into serious consideration. The main concern when it comes to balance is the weight. Well, the enhanced design of the S-Curve construction manages to provide the perfect weight-to-balance ration, which is something very important. The balance has a direct impact on the sensitivity of the fishing pole and this is something of grave importance when it comes to saltwater fishing. You need to ensure that the rod is as sensitive as possible, while at the same time it’s also durable enough. 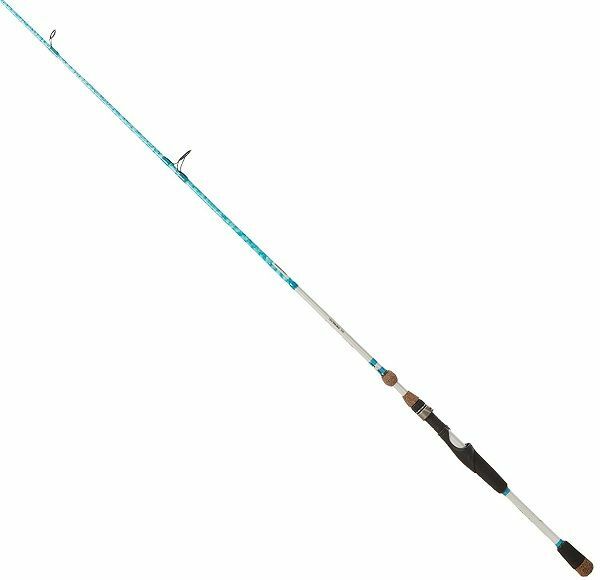 The weight of the fishing pole, combined with the 7-feet and 2-inches length makes it the perfect match for saltwater fishing lovers. This is further complemented by the split-handle design. That’s something which has weight-reduction written all over it. Furthermore, it manages to improve your balance thanks to the zirconium guides designed to provide you with splendid casting capabilities. This is also something which would allow you to increase your overall casting distance, which is something rather important. The control of the rod is also easy thanks to the lightweight design and the overly appropriate balance. Now, it’s also worth noting that the overall handling of the rod is also quite convenient. This is thanks to the revolutionary high-density rubber handles. You are given a firm and secure grip and an incredibly appropriate feeling at the same time. Speaking of which, this is also something which is going to ensure the proper balance and enhanced sensitivity, both of which are much needed for this type of fishing. All on all, this is a rod which is well worth the fairly moderate price tag. There are quite a lot of features and the company has gone the extra mile to implement the new and improved S-Curve technology, ensuring enhanced performance capabilities. If you are looking for an inshore saltwater fishing rod, this is by far one of the best on the market. It manages to combine a lot of interesting functionalities without sacrificing the sensitivity or the balance, which is something fairly impressive when it comes to it.